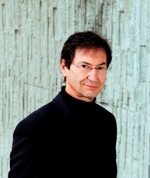 An Internet Veteran, François Flückiger was inducted into the Internet Hall of Fame in 2013 ("Influential engineers, activists, and entrepreneurs changed history through their vision and determination"). Director of the CERN School of Computing from 2003 to 2013, he has been in charge of external networking for two decades and held positions in infrastructure and application networking. He was at the inception of Internet initiatives including CCIRN, RIPE, Ebone and ISOC. He took over Tim Berners’-Lee to manage CERN's World-Wide Web team when the Web inventor left CERN for the MIT. As leader of the CERN Web team, he organized in 1994 the first ever open-source release of the CERN web software. He is a keynote speaker, a member of the Internet Society Advisory Council and the author of the reference textbook "Understanding Networked Multimedia" as well as more than 80 articles. He has 40 years of experience in networking and information technologies. François Flückiger graduated from the Ecole Supérieure d'Electricité in 1973 and holds an MBA from the Enterprise Administration Institute in Paris in 1977. Benedikt Hegner studied physics, history and philosophy at the RWTH Aachen University and obtained his physics degree working on the integration of the silicon tracker of the CMS experiment at CERN. For his PhD he joined DESY in Hamburg and carried out an analysis on the spin of the top-quark. In parallel, he implemented core parts of the CMS analysis framework. He then joined CERN and took over the coordination of the CMS analysis software. He has been involved in CERN's software development activities since then. Currently, he is responsible for the Software Process & Infrastructure project and the LCG software releases. In addition, he is lead developer for a new common experiment framework, that allows to exploit the parallelism of modern CPU and GPU architectures. Bob Jacobsen is an experimental high-energy physicist and a faculty member at the University of California, Berkeley. He's a member of the BaBar collaboration, where he leads the effort to create the reconstruction software and the offline system. He has previously been a member of the ALEPH (LEP) and MarkII (SLC) collaborations. His original academic training was in computer engineering, and he worked in the computing industry before becoming a physicist. Sebastian Lopienski is CERN’s deputy Computer Security Officer. He works on security strategy and policies; offers internal consultancy and audit services; develops and maintains security tools for vulnerability assessment and intrusion detection; provides training and awareness raising; and does incident investigation and response. During his work at CERN since 2001, Sebastian has had various assignments, including designing and developing software to manage and support services hosted in the CERN Computer Centre; providing Central CVS Service for software projects at CERN; and development of applications for accelerator controls in Java. 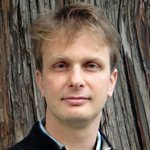 He graduated from the University of Warsaw (MSc in Computer Science) in 2002, and earned an MBA degree at the Enterprise Administration Institute in Aix-en-Provence in 2010. 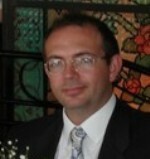 His professional interests include software and network security, distributed systems, and Web and mobile technologies. 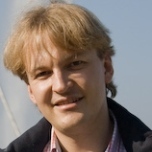 Andrzej Nowak is an entrepreneur and consultant based in Geneva, Switzerland. Earlier, he worked at Intel and in the CERN openlab - a collaboration of CERN and industrial partners such as HP, Huawei, Intel, Oracle and Siemens. In the openlab, Andrzej was part of the CTO office, which set up next-generation technology projects for CERN. A second part of his job was to research optimization and parallelization opportunities for complex code, with a focus on performance tuning, parallelism and modern many-core processor architectures. Andrzej co-founded a computing course series, including the thematic CSC, that trained over 1’500 participants both within and outside of CERN. Alberto Pace is a member if the IT department at CERN where he leads the Data Management group ensuring a coherent development process for Physics Data management activities, strongly driven by operational and user needs. He has more than 20 years experiences in computing services, infrastructure, software engineering, accelerator control and accelerator operation. He graduated in Electronic Engineering from Politecnico di Milano (Italy) in 1987. Danilo is an experimental HEP physicist. As a member of the CMS collaboration, he graduated in 2007 but already during his studies he worked for the CERN IT department. He obtained his PhD at the Karlsruhe Institute of Technology in 2010 to then immediately join CERN as responsible of many software operations of the CMS experiment. 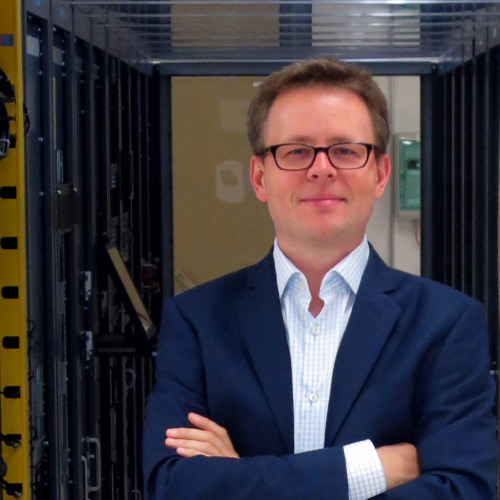 The high performance and parallel software expert of the CERN Software group, he joined the ROOT team in 2013. His main responsibility is the I/O subsystem but he is actively involved in the development and support of reflection and mathematical libraries. Ivica Puljak is Professor of physics at University of Split, Faculty of Electrical Engineering, Mechanical Enginnering and Naval Arhitecture (FESB). He completed his BsC studies in electrical engineering at FESB and MsC studies in particle physics at University of Zagreb. 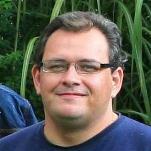 He has been working for his PhD thesis at Laboratory Leprince Ringuet (LLR) at Ecole Polytechnique, Palaiseau, and got his PhD in particle physics from University Paris VI in 2000. In 2011/2012 he was research associate at CERN. He is a member of CMS collaboration since 1994 and MAGIC collaboration since 2009. His research interests are construction of the electromagnetic calorimeter of the CMS detector, physics of the Higgs boson and astroparticle physics. Arnulf Quadt is Full Professor of physics at the University of Göttingen. He obtained his PhD from the University of Oxford, working on the ZEUS experiment at HERA. Subsequently, as postdoc he worked on projects on ZEUS at HERA, OPAL at LEP, D0 at the Tevatron and ATLAS at the LHC with the following institutes: University of Oxford, CERN, University of Bonn, Rochester University, Max-Planck-Institute of Physics and the University of Göttingen. He founded the particle physics institute at the University of Göttingen in 2006. His main research interests are top quark physics, searches for Higgs bosons, searches for supersymmetry, grid computing and the ATLAS pixel detector. 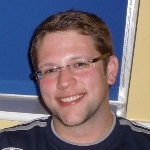 Benjamin Radburn-Smith is a Postdoctoral Research Associate at Purdue University. He has been a member of the CMS experiment since 2009 and currently works on the HLT development for muons (L3) and searches for the Higgs boson decaying into two muons. Benjamin is interested in applying multivariate classifiers to enhance the selection efficiency for future Higgs analyses. Benjamin studied for his PhD in the U.K.
jointly with the University of Manchester’s Particle Physics Group and the STFC Rutherford Appleton Laboratory’s Particle Physics Department. For his PhD research, Benjamin studied multivariate visualisation techniques which can be used in conjunction with a physics analysis. The visualisations of greatest interest include parallel coordinates and the grand tour. These visualisations were applied in searches for physics beyond the Standard Model within the CMS Exotica group. In particular he investigated collimated groups of leptons called Lepton Jets, which are possible signatures of new physics. Giuseppe Lo Presti studied Computer Science Engineering in Palermo. He joined CERN in 2004 to complete his PhD studies with a Thesis on Peer-to-peer technologies for Data Acquisition systems in the CMS Experiment. As a post-doc INFN fellow he then joined the CERN IT Department, where he has been one of the major contributors in the software design and development of the CERN Advanced Storage manager (CASTOR), a Hierarchical Storage Manager used at CERN for all physics data (tens of Petabytes). He currently holds a staff position in the Data and Storage Services group, where he is responsible for the database backend and the Grid Storage Resource Manager (SRM) interface of the CASTOR system. 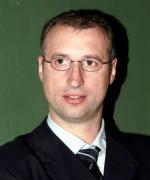 Andreas Peters is member of the CERN data management group. Since 1997 he worked as a student for the NA48 Collaboration at CERN in the development of the data acquisition system and a zero suppression system for the electro-magnetic calorimeter. He finished his PHD in physics at the University of Mainz in 2002 studying direct CP-violation in the neutral kaon system. 2002 he joined as a research fellow the ALICE experiment doing mainly development of GRID software and data management tools. From 2004 on he stayed at CERN working for the European grid project EGEE focused on development of end-user tools for distributed analysis and distributed data management. In 2008 he joined the CERN data management group doing research and development for future data management at CERN.